It seems hard to believe that ten years have passed since Badger GP’s inception. Paving the way for many topical F1 websites, its humour and engaging style of writing has become the website’s signature, becoming a hit with like-minded fans around the world. What’s even more surprising is the amount of change the sport has witnessed in that same decade. So let’s take a trip down memory lane and reminisce on F1’s days of yore, through the eyes of Badger GP of course. Well, some things never change, do they? Despite the ten years which have passed, we still find Lewis Hamilton at the top of the pile. 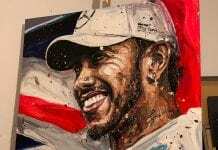 His title triumph in Mexico earlier this year has helped cement his place with the greats of the sport, joining the likes of Fangio and Schumacher as five-time world champs. It hasn’t always gone his way, however. Lewis has had some shocking seasons, 2009 in particular, where a change in regulations seemed to catch out the established front runners like McLaren. 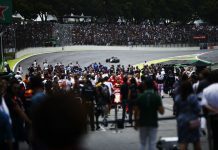 Despite this, Hamilton dug deep and managed to secure victories in a car his team-mate, likeable Finn Heikki Kovalainen, struggled to even make the podium with. It was seasons like this that made Lewis the stronger, more determined and mature thinking driver that he is today. Lewis’ racing etiquette in the past has been questionable, his fashion sense even more so. But one thing that definitely cannot be questioned is Hamilton’s continual quest for victory. He’s gone toe to toe with some of the best drivers in his generation and beaten them comprehensively. Will he become the Greatest Of All Time? Only time will tell, but I wouldn’t put my money against it! For all the glory and excitement motorsport can bring, it can have its dark periods. The last decade has seen a number of notable injuries and fatalities across all spectrums of motorsport. Our first hashtag reflects the tragic skiing accident Michael Schumacher was involved in at the beginning of 2013. The seven-time World Champion suffered head injuries from which he is still recovering from. It seems ironic that the German superstar had recently retired for the second time from the sport he once dominated with no life threatening injuries, only to sustain severe injury in retirement. Although his three year stint with Mercedes was no way near as successful as his previous time in F1, there were moments “Schumi” still managed to show his magic to the world. His pole lap at Monaco in 2012 once again displayed Michael’s technical ability to extract the most out of the car on one of the most challenging and least forgiving of circuits. His podium in Valencia in that same year also showed that he could still keep a calm head when others around him lost theirs. We all hope Michael makes a full recovery – this is one victory we all want him to win. For the first time in over twenty years, F1 lost one of its own in Jules Bianchi. The Frenchman was fast becoming hot property in the paddock, having been snapped up by Ferrari and their Driver Academy before making his bow in the sport with Marussia in 2013. Though pointless by the season’s end, his talent and maturity behind the wheel was clear for all to see. 2014 saw the likeable Frenchman achieve the impossible, snatching ninth place and two precious points at the Monaco Grand Prix that year. He even managed an audacious overtake on the inside of La Rascasse, passing Kamui Kobayashi in the process. His star was well and truly shining, Ferrari keeping a keen eye on his progress all the while. Jules certainly had the makings of a winner, champion even, yet a cruel twist of fate at the Japanese Grand Prix that season robbed the world of a precocious talent. Had the young Frenchman not succumbed to his injuries that day, I think we would have seen Bianchi behind the wheel of the second Ferrari, partnering Vettel. Based on his skills in an F1 car, I don’t think he would have settled for staring at Sebastian’s gearbox at every race either. Special mention must also go to former F1 driver Justin Wilson who was also involved in a motorsport accident which sadly claimed his life. The Brit often found it a struggle to get in and out of machinery because of his height, but it never stopped him from over-achieving in uncompetitive machinery. Getting his big break with Minardi in 2003, Wilson often managed to leap off the grid at the start of races and position his Minardi much higher than it should have been. These performances seemed to grab the attention of Jaguar, who were looking for a new driver to replace Antonio Pizzonia for the last five races of the season. At the US Grand Prix that year, Wilson managed to finish eighth and secure his first point in F1. Sadly, Justin’s F1 adventure went no further, a lack of funding the main cause for his departure. He made a name for himself across the pond in America, succeeding in both Champ Car and Indycar championships, taking several victories along the way. But the F1 and motorsport communities are a poorer place without these guys around and we miss them dearly. Their deaths have not been in vain, however. New safety measures have been trialled and implemented since these driver’s tragic accidents. The Virtual Safety Car and ‘Halo’ head protection have both come about as a result of Bianchi’s passing and have made F1 a safer sport as a result. Indycar meanwhile have trialed an Aeroscreen looking to reduce the chances of Wilson’s head injury from happening again. We may not have Wilson and Bianchi around, but at least their legacies in racing and safety will continue. 2008 was a bumper year for manufacturer teams. Not only did you have the likes of Ferrari and Renault battling for race victories but BMW (in partnership with Sauber), Toyota and Honda also had their own representation on the grid. None of them (perhaps with the exception of Honda) were slouches either. BMW secured victory thanks to Robert Kubica’s efforts in Canada, whilst Toyota were regular visitors to the podium, courtesy of Timo Glock and Jarno Trulli. Yet the dark clouds of economic depression were looming and were set to rain heavily on the Formula One order. Car sales diminished, meaning that fewer profits could be ploughed into the manufacturers’ F1 teams. Within the space of two years, BMW, Honda and Toyota had completely disappeared, with Renault reducing their role from manufacturer to engine supplier by the end of 2011. A gaping hole was left in the F1 grid, only filled by the introduction of newer privateer teams such as Virgin Racing (later Marussia and Manor), Lotus Racing (later Caterham F1) and HRT. The collection of teams left ultimately reflected a sign of the times – only Ferrari had survived as a manufacturer during this turbulent time. Whilst Mercedes rejoined the pack in 2010, it wasn’t until the turbo regulation changes in 2014 which saw the resurgence of the manufacturer teams in the sport. Having dominated the last five seasons, The Silver Arrows have become a dominant force in the sport again, much like their 1950s predecessor. Renault returned to the fold as a manufacturer in 2016 (following the buyout of their old outfit!) and have secured fourth in the Constructor’s Championship this season. And of course, who have become Mercedes’ biggest threat? That’s right, you guessed it – Ferrari. 2018 may not see the depth of manufacturers F1 enjoyed ten years prior, but their strength in the championship is unquestionable – manufacturers occupy three of the top four positions in the constructor’s table. A change in regulations for 2019 may close up the order, but don’t be surprised to see the manufacturers still at the top of the tree. The fallout from the sudden departure of the manufacturers mentioned above was the immediate rise of the Privateer entries to the front of the pack. But this was not without its dramas. Having taken the decision to completely withdraw their involvement from F1, Honda left the team in Brackley in a perilous position. Leaving their decision to leave the sport so late left their drivers for 2008, Grand Prix winners Jenson Button and Rubens Barrichello, without any drives for 2009. Furthermore, the Brackley squad which serviced and maintained the Japanese team and their cars were left without jobs. With the economic downturn in full swing, no company or manufacturer were willing to buy the beleaguered outfit. At the eleventh hour, a management takeover led by Ross Brawn and Nick Fry saved the Brackley team and most of its employees from the dole. The squad already had their chassis design, courtesy of Honda’s R&D department, they just needed an engine. A last minute deal was struck with Mercedes and, after a few modifications, the Brackley squad managed to shoehorn the German powerplant into the back of the car. But what to call the car, and indeed the team? It was mooted that management seriously considered reviving the legendary Tyrrell name, the team tracing its origins from the title-winning squad of the 60s and 70s. Eventually, it was decided that as Ross led the team’s revival, his name should be on the car and over the garage – thus Brawn GP, and the fairytale which resulted, was born. Having been hastily been drafted together, the team packed its bags and headed for the first race of the season in Melbourne. The car itself only had its first shakedown at Silverstone weeks prior. No one knew what to expect, and no one was certainly expecting what happened, not even the team! Having locked out the front row in qualifying, Button drove off into the distance and was never challenged. A late surge up the order from Barrichello saw Brawn GP secure a 1-2 at their first attempt. Button continued the season in a similar vein, winning six of the first seven races. 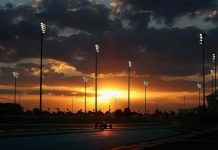 A lack of development due to financial constraints saw the team lose its competitive edge, but not without Barrichello chalking up two more wins towards the end of the season. By season’s end at Abu Dhabi, Brawn GP had secured both the Driver’s Championship, thanks to Jenson Button’s metronomic consistency and racecraft, and the Constructor’s Championship, winning nearly half of all the races they contested. And who says fairytales can’t come true? Ah, the BrawnGP car, what a car! When Kimi Raikkonen announced he was leaving F1 at the end of 2009 to do, well, anything other than F1, it felt as if he was leaving with some unfinished business to attend to. After winning the title in 2007, Kimi seemed to lose some of his desire to race in the category, especially after racing an uncompetitive Ferrari for what looked likely to be his last season. But the time away seemed to reinvigorate the Kimster’s ambition to race again in single seaters, having tried his hand at rallying and even Nascar to name a few. The 2012 season saw the Finn in a new environment with Lotus F1, but it didn’t take him long to suss out his surroundings. Podiums shortly followed and even finished the season in style with victory at Abu Dhabi. Continuing the trend into 2013, the Iceman took maximum points at the season opener in Melbourne. It seemed the Finn lost none of his speed or racecraft whilst away, even managing to regain the Ferrari seat he gave up five years earlier. Despite being overshadowed by the likes of Alonso and Vettel since his return to the Prancing Horse, Kimi on his day can still mix it with the best, even becoming the “Winniest Finn” with victory at Austin earlier this year. Even after all this time, Kimi still knows what he’s doing. A Stepped Nose Too Far? The past decade has seen some questionable regulations in an effort to shake up the order of the grid and make the racing as close and exciting as possible. What the rule makers forgot, however, is whether the cars actually looked pleasing to the eye. 2009 saw a massive reduction in aero, resulting in rear wings that looked like they had been shrunk in the wash and front wings which had been stretched on a rack. It took a little while to get used to, but at least the cars retained some sleekness in their shape – all well and good. Then in 2012 the FIA decided that the noses of the cars were too high for modern safety standards (in light of Webber’s airborne crash at Valencia in 2010) and decided that the nose cone had to be lowered. What they didn’t conceive the designers to do, in the interests of competition, is to lower just the tip of the nose. Cue F1 cars which began to resemble a five year old’s attempt at an F1 car in Lego, as large ungainly steps from the nose tip to the bulkhead began to emerge. Ferrari’s effort from 2012 is a prime example of this. Sadly worse was to come. The FIA, in an effort to rectify the recently-designed ugliness, decided to clarify the ruling further for 2014. The remainder of the front of the car now had to follow the shape of the nose in an arc, curving downwards. This, in the FIA’s minds, would create a sleeker, more elegant shape. Unfortunately in reality, it created the exact opposite. Because there was no restriction on the width of the nose, F1 designers began creating cars with nosecones more akin to Bottlenose Dolphins and Anteaters than actual racing cars, again in the name of performance gains. Less of these monstrosities are visible on the grid now, thanks to yet further amendments to the regs and in part to the common sense of the teams. Yet you do feel sometimes that the governing bodies and the teams went a stepped nose too far with this one. There are some in the paddock which say “if you’re good enough, you’re old enough”. This statement could not be more true of the teenage sensation that is Max Verstappen. Son of former F1 driver Jos, Max burst onto the scene as a seventeen year old for Toro Rosso, making his Friday practice debut for the team at the Japanese Grand Prix. A first full season followed in 2015, still at the tender age of 17 years and 166 days when he made his debut at the Australian Grand Prix. Whether it was youthful overconfidence or perfectly judged manoeuvres, Max was certainly making a name for himself. Overtaking around the outside of Blanchimont is not a move you pull off easily or half-heartedly for that matter. Having secured a brace of fourth places in 2015, Verstappen was aiming for higher for 2016. When promotion to the senior team came at the expense of Daniil Kvyat from the Spanish Grand Prix onwards, the young Dutchman grabbed the opportunity with both hands. Holding off a late challenge from Ferrari’s Kimi Raikkonen, Verstappen became the youngest Grand Prix winner in history on his Red Bull debut. Further victories have followed and with it a sense of maturity (barring his barging match with Ocon recently, but we loved that!). Verstappen has been a divisive figure at times on the track, even drawing criticism from the likes of Vettel of Hamilton. But this, in essence, is what Max is all about – upsetting the applecart and emerging victorious in the process, much in a similar vein to Schumacher’s arrival in the sport. His overtaking maybe akin to a Playstation game, but they will be remembered for many years to come. Taking Rosberg round the outside of Curva do Sol in appallingly wet conditions at Interlagos? Easy. Squeezing Vettel wide to claim the lead of the 2017 Mexican Grand Prix and ultimately the win? Piece of cake. This young Dutch lion knows no fear, and still at the age of only 21. 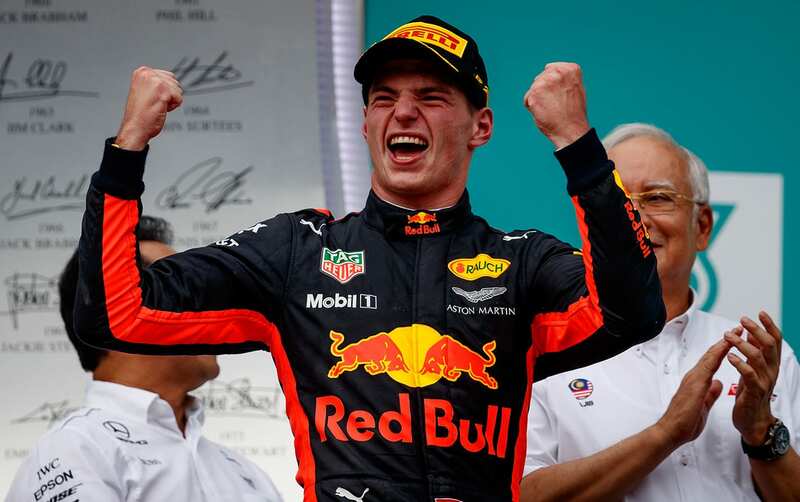 There is definitely more to come from Verstappen and it wouldn’t come as a surprise to see him become World Champion sooner rather than later. Of course, for every new driver like Verstappen which joins the grid, another driver bids farewell, sometimes deciding that enough is enough and retires. Quite a few notable names have retired from Formula One in the decade that Badger GP has been around, namely David Coulthard, Rubens Barrichello, Michael Schumacher, Felipe Massa (twice! ), Nico Rosberg, Jenson Button and Fernando Alonso. All have left an indelible mark on the sport and will be remembered for many generations. Every driver in this list has enriched the rich tapestry of the sport, creating the drama, excitement and tension that Formula one deserves. And so to Badger GP. Much like the drivers above, its website and subsequent ‘Badger Bash’ events have made its mark on the sport and will be fondly remembered. From nothing, Badger GP has created a community of knowledgeable and like-minded fans who appreciate the humorous side of the sport. Thanks for the memories everyone. Kevin is a proper Formula 1 fan with a great respect and knowledge for the history of the fastest sport on the planet.